We've all been waiting anxiously for themovie for a long time. Well I'm here to tell you that wait is not in vain, and you definitely won't be disappointed with these mischievous creatures. Bring the fun home with Tumblin' Stuart, from Thinkway Toys. Summertime means summer blockbuster movies for the whole family. Trust me: Kids movies are not just for kids and this summer's lineup will have adults LOL-ing just as much as the kiddies! Plus, when the movie is over, you know your kids will want to bring the magic home and -- thanks to a huge array of super fun toys -- it's easy for them to do so. Here's a peek at the movies your whole family will love this summer and some of the awesome toys that will be available along with them. Earlier this year, we were briefly reunited with our Disney Frozen friends in the Frozen Fever short. Okay, so it's not a full-length feature film to fill our Frozen void, but it did succeed in keeping our own Frozen fever hot, hot, hot! Every single time poor Elsa sneezes, little baby snowmen -- or Snowgies -- pop up. 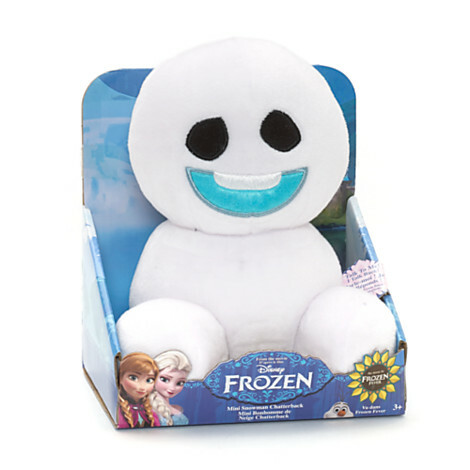 Fans will love the Disney Frozen Fever Snowgie Chatterbacks, from Just Play. They are adorable and repeat everything that you say, so don't be afraid to let them help you get the "clean your room" message across twice (or 40 times). Avengers: Age of Ultron hit theaters earlier this month, and Hasbro has so many great role-play items that let kids become their favorite superhero. In the movie, the ultimate battle takes place between the Avengers and Ultron, a robot designed by the Avengers. Ultron was developed to keep the peace, but when he decides that the only way to do that is to end humanity, well, let's just say the Avengers have their work cut out for them. 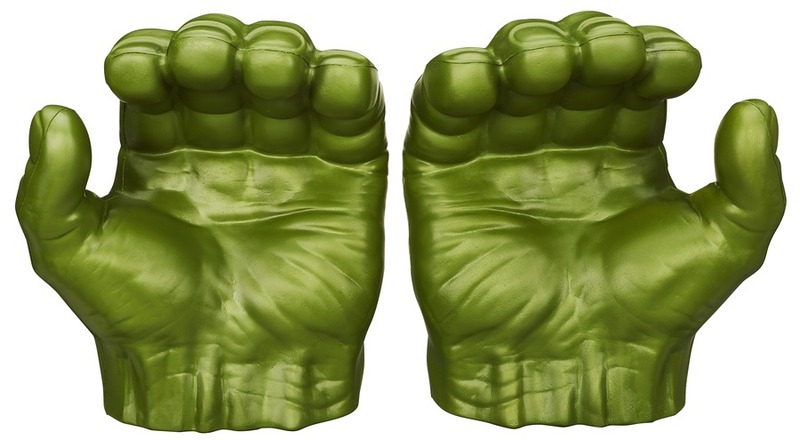 From the Hulk's grippy fists to Thor's mighty hammer, kids will have a blast! On June 12, after two decades of false starts, Jurassic World will open its doors for business. 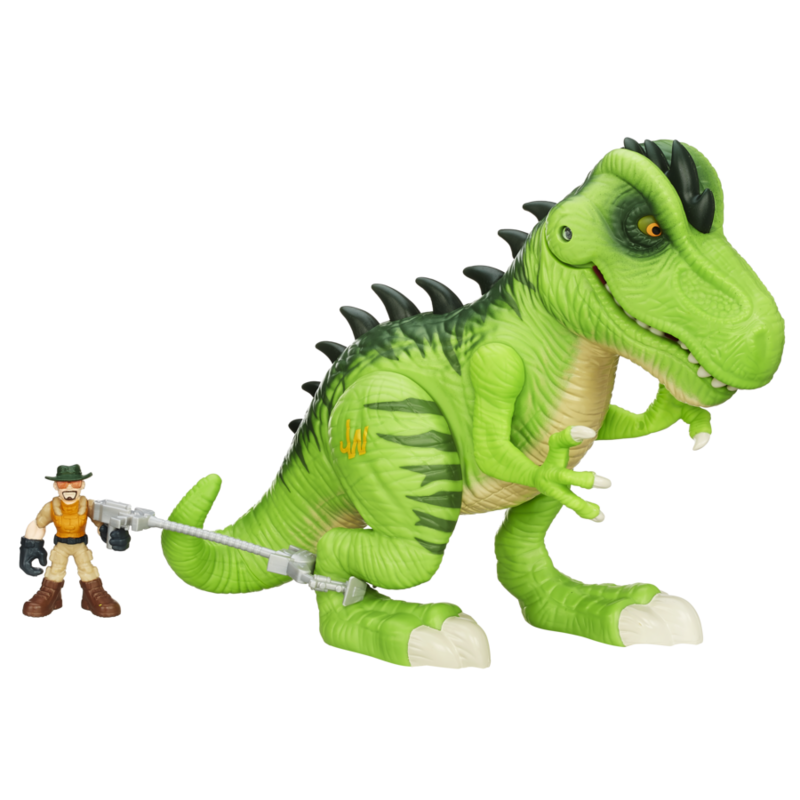 And so it's no surprise that dinosaurs are stomping and chomping through the toy aisles in a big way this year. Lego has a whole line of sets that lets kids recreate their favorite scenes from the movie and also include cool collectible dino figures. 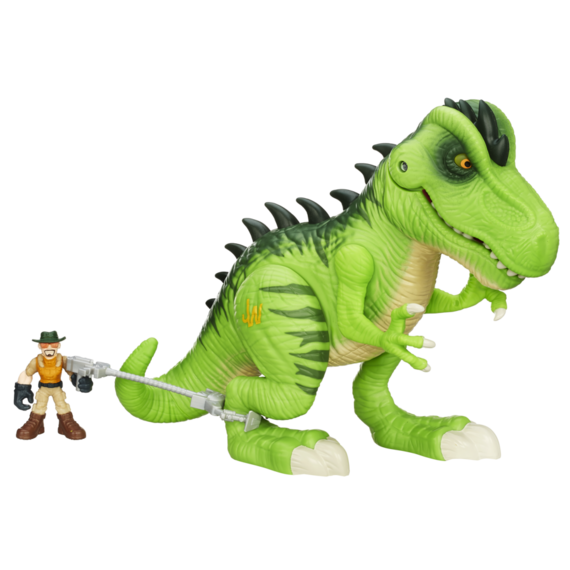 The Playskool Heroes line has a Tyrannosaurus Rex figure with fierce chomping action that kids can use to gobble up the human figure. 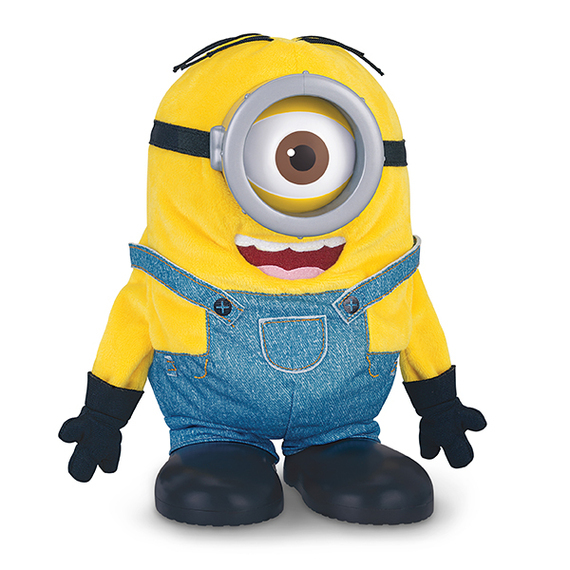 We've all been waiting anxiously for the Minions movie for a long time. Well I'm here to tell you that wait is not in vain, and you definitely won't be disappointed with these mischievous creatures. Bring the fun home with Tumblin' Stuart, from Thinkway Toys, or make a splash at the pool with the Minion swim goggles or goggle kickboard from Skyrocket Toys. And last but not least, Disney•Pixar's Inside Out will not only have your entire family laughing, but also relating to all the emotions that kids and grown-ups face on a daily basis as they watch Riley, her parents, and their emotions tackle life's challenges. Adults will laugh and shake our heads, while the movie serves as teachable moments for our kids' social development, especially when accompanied by a great line of plush emotions from Tomy that have the voices of the characters built in. You don't have to wait for a rainy day to dive into this lineup. Movies make great family day trips. So grab the fam and head to theater -- and don't forget the popcorn!